We all know that true leadership is about differentiation and that companies that create the standard (like Apple) will take market share from those who try to be better at doing the same thing everyone else is doing. 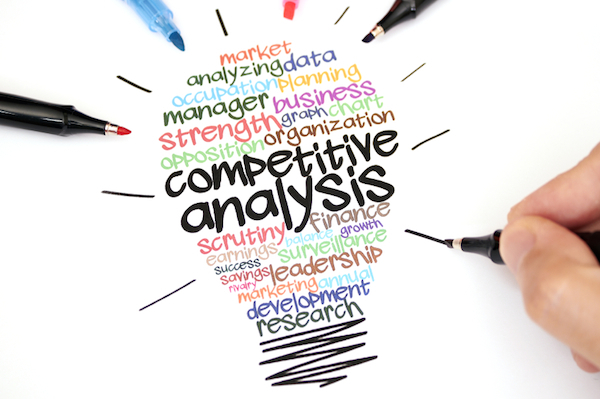 However, business doesn’t operate in a vacuum and it’s always a good idea to keep a close eye on how your competition manages various operating processes so that you can make sure you keep the edge. This is particularly true when it comes to social media and exploring the types of information customers interact with online. Start by taking a look at the pages of your peers and keep an eye out for certain indicators. For example, how much information do they provide and what type of information is it? Does it overwhelm consumers or invite them to explore further? Are they trying to interact with their customers or simply provide an information portal? Does their strategy have its intended outcomes? You should also be checking to see if they’re using any additional information gathering techniques like surveys, and checking the response rate and how they host the information afterwards (such as posting a distillation of the findings or keeping the details private). Do they have a regular blog post that they link back to? Is it weekly or monthly? Do they do a few tweets a day or maybe just an Instagram picture every few days? Compare the levels of engagement that each platform gives them and try to distinguish how far frequency affects their response rate. It’s also important to check whether – and how – your competitors are using their profiles to generate leads. What you’re looking for here is whether or not their social media platforms (especially Facebook) feature any kind of opt-in forms that will help them generate email lists. Remember: products and branding are the areas in your business where originality is vital; but when it comes to tools and competing on an open playing field, the best thing you can do for your business is find out what your competitors are doing for theirs.